NEW ORLEANS -- New Orleans is weighing whether to rein in the number of strip clubs on Bourbon Street, both to curb crime and tame one of America's most popular, and wild, entertainment districts. On Tuesday, dozens of strippers and their supporters spoke against the crackdown on strip clubs at a City Planning Commission public meeting. There are currently 14 adult clubs on Bourbon Street and the commission proposes halving that number through attrition and revoking clubs' licenses. The city is targeting the clubs because of concerns they may be rife with crime. Last October, an undercover investigation by Louisiana's Office of Alcohol and Tobacco Control found prostitution, drug sales and lewd or improper acts took place at five French Quarter strip clubs. But strippers and club owners told the commission that characterization is false, describing the clubs as safe, monitored by surveillance cameras and law-abiding. "The people who lead stable lives don't make the news," said Rachel Ladner, a 28-year-old exotic dancer on Bourbon Street. She said the clubs provide a way for women to make a good living and she warned that a crackdown would push some dancers into "dire straits." In January, the City Council set an age minimum of 21 for dancers and then placed a temporary ban on new strip clubs while city planners study what new rules to impose. Besides reducing the number of clubs, city planners are advocating for more robust licensing and more inspections. The City Planning Commission took no action Tuesday. It will submit its recommendations to the City Council. 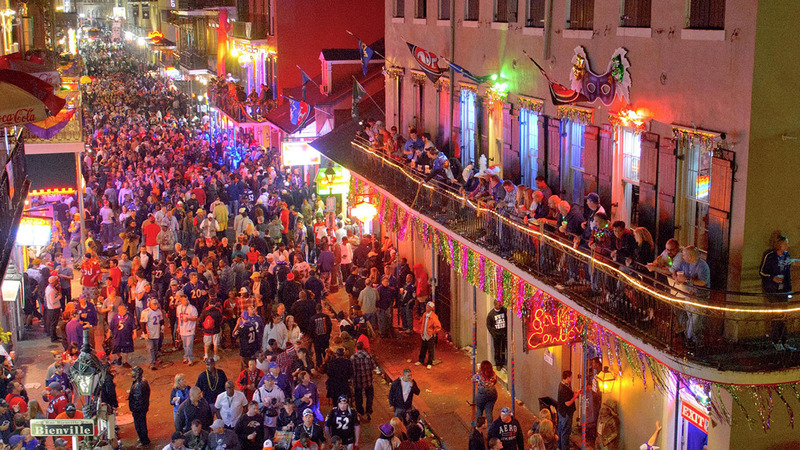 "Our places are among the safest places on Bourbon Street," Chris Lejeune, a disc jockey at a club, told the commission. He said the majority of workers are regular citizens. "Most of us simply go to a shift and return home to our loved ones, just like everybody else." There are 23 strip clubs in New Orleans, with 19 of them located in the French Quarter. They are very popular with the millions of tourists who visit the city each year. In an interview before the meeting, John Kirkendoll, the owner of Penthouse Club, said about 400 women work at his club and make very good money, as much as $75,000 or more a year, as about 350,000 customers pour through the club's doors each year. He said the number of clubs has expanded since he opened his in 1995, when there were about 10 on Bourbon Street. He said clubs like his are being unfairly tainted by the undercover operation which found violations at clubs owned by the same person. "That ripple effect is flowing to everyone else," he said.